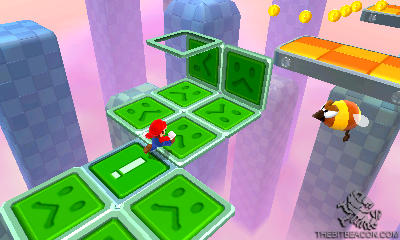 I have always had a hard time playing the Super Mario titles that take place in a three dimensional space. I struggled with the platforming because I always had a hard time judging where Mario was in relation to the other objects in the game. So since Super Mario 64 I have never really bothered with the series because I would always end up frustrated. 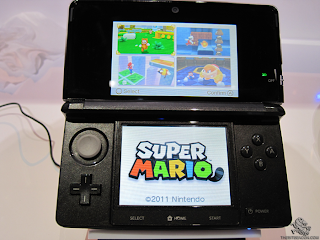 Needless to say, I was hesitant regarding the Super Mario (3DS) demo at E3 this year. 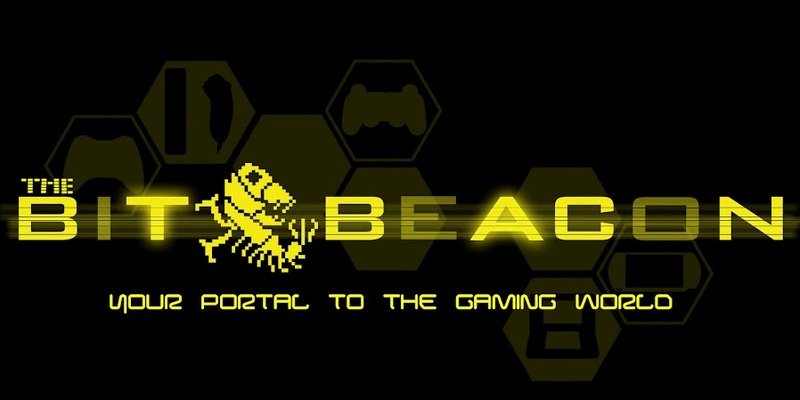 The demo lets you select from four stages each one offering different environments. The first stage has you running around an open environment that you can progress through as quickly or as slowly as you want. The second stage has you exploring a cave with a secret warp zone hidden in it. The third stage is what I would call an obstacle course, where if you are not careful you can easily fall prey to the levels tricks. 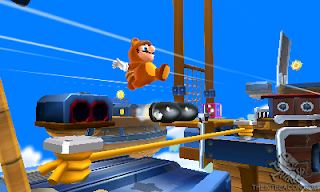 The final stage is inspired by one of the classic air ship levels found in Super Mario Brothers 3. The demo ends with a boss bottle against Boom Boom! When you start each stage on the bottom screen you will find a super leaf icon that you can press to gain the iconic racoon suit. While the suit doesn’t permit you to fly, you can use it to attack and slow your descent, allowing you to glide further distances than you would normally be able to jump. Visually, the game looks like a mix of the traditional side scrolling games and the more recent Galaxy titles. However it plays like the more recent titles. 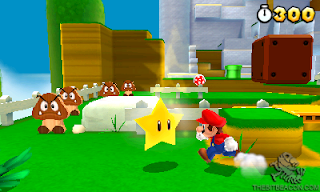 You control Mario in three dimensions in 3D, whoa! The camera is in a fixed position but you can adjust the angle slightly to the right or left using the touch screen. The levels are designed around the camera so you won’t ever have to worry about it getting in the way or being frustrating. This feels like a Super Mario game made just for me. The 3D is actually useful in the game and is not just for show. I can now tell exactly where Mario is in relation his environment and I found myself not struggling to complete the levels. The music and sound effects in the game had me feeling all nostalgic and are arranged quite pleasingly to my ears. If the final game is anything like what I experienced with the E3 demo, this is one title I will be purchasing on day one. 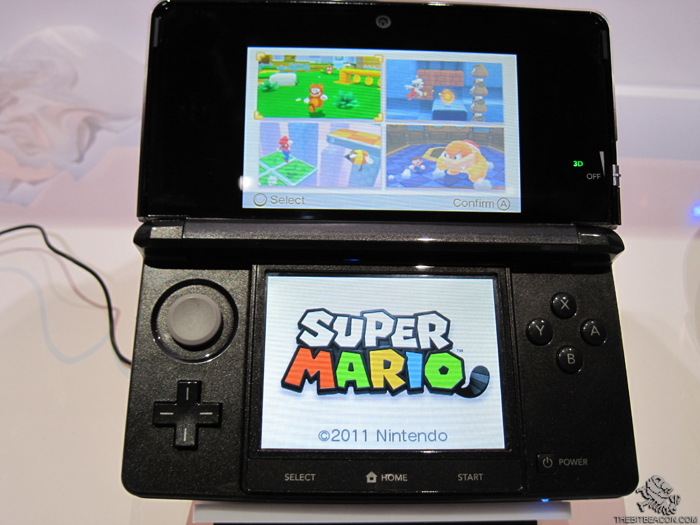 Mario creator Shigeru Miyamoto promises that this game will be available sometime before the end of the year.